*Command is a trademark of Kohler Company; I/C, Intek and Vanguard are trademarks of Briggs & Stratton Corp.
** 27-hp Kawasaki 4WD Hydro w/540 PTO & 3-pt hitch—list price $10,595. *** Includes 540 Rear PTO & 3-Point Hitch. 1To top of steering wheel or seat. Type K-92 Hydro Integrated Pump & Transaxle w/ Diff. Lock & A.C.T. K-92 Hydro Integrated Pump & Transaxle w/ Diff. Lock & A.C.T. K-92 Hydro Integrated Pump & Transaxle w/ Diff. Lock & A.C.T. 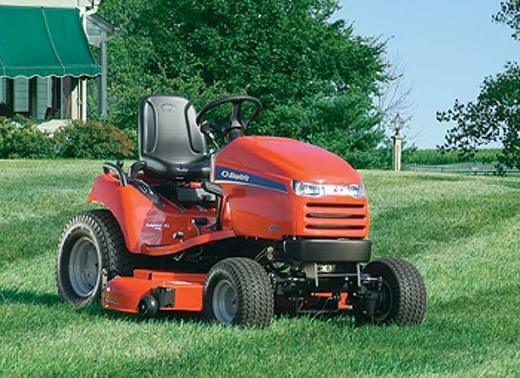 Add $1,400 for 48" mower; $1,500 for 54" mower; and $1,629 for 60" mower.